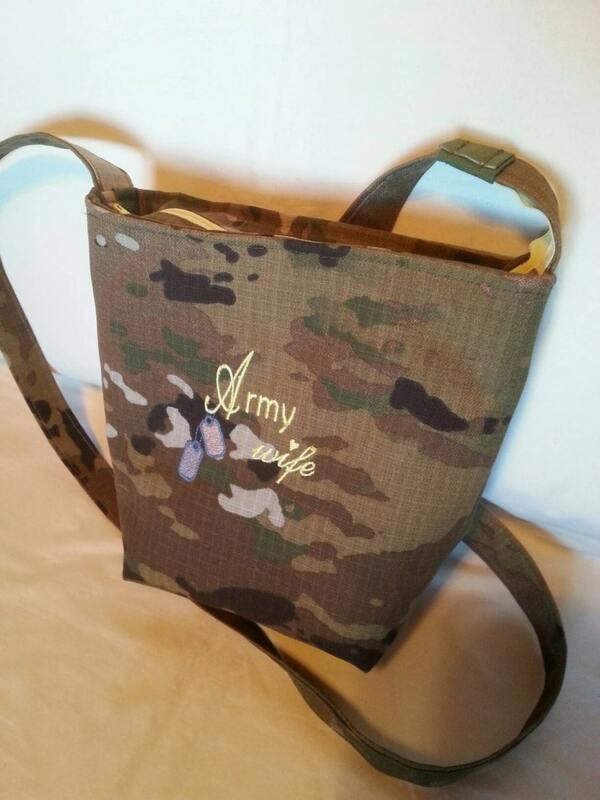 Army Mom or Army wife custom camo bag. 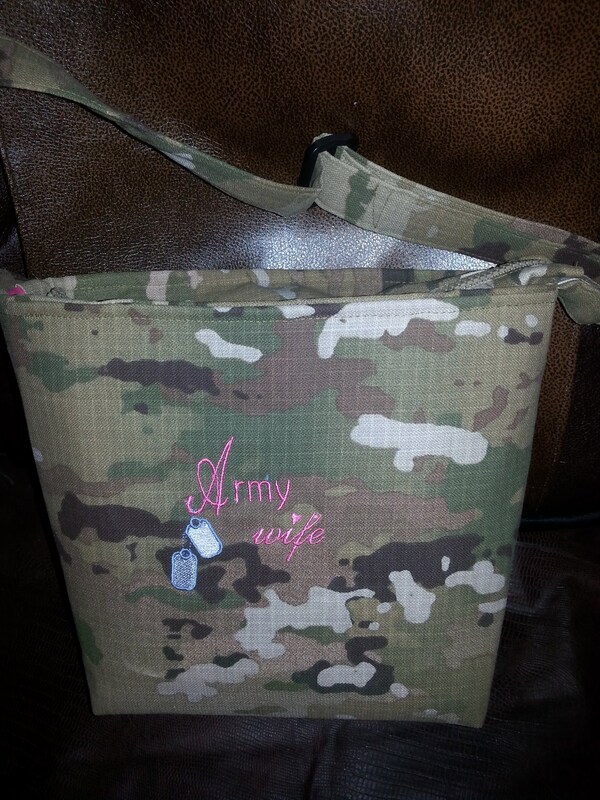 Handmade purse from OCP Scorpion multicam fabric. 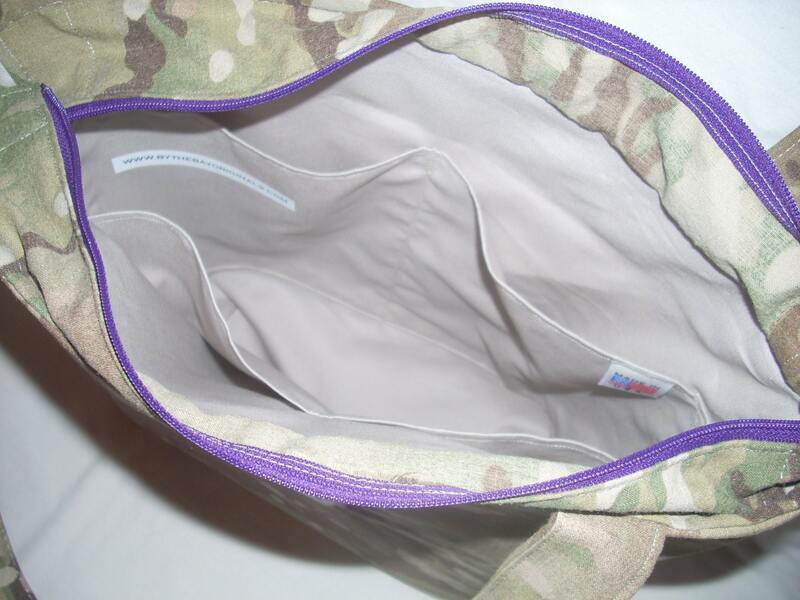 Two pockets inside. 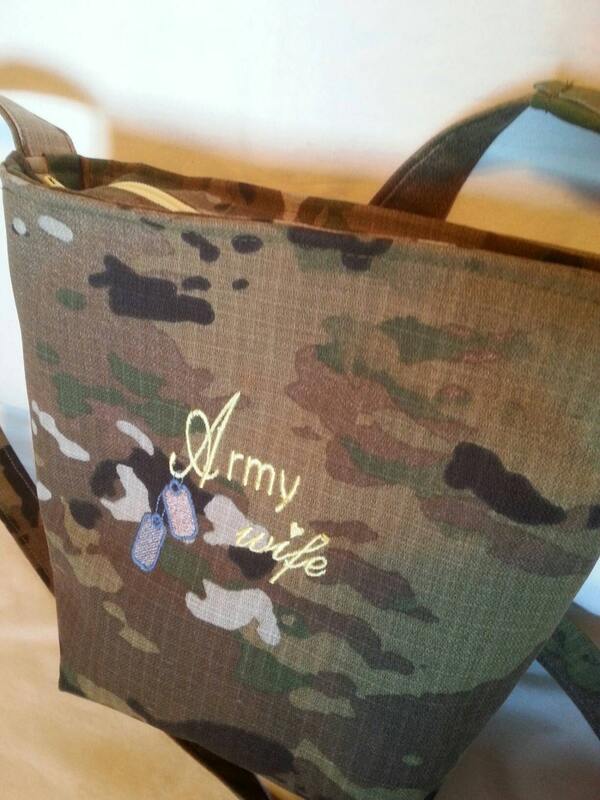 Your choice for color of lining and embroidery. Measures approximately 13" across, 10" high and 4"deep. Straps measure 24" which will go over the shoulder. One long adjustable strap (crossbody) available (in place of 2 straps} , if you request. Buy quality. Check my feedback.